Bergen is known as the gateway to the fjords. 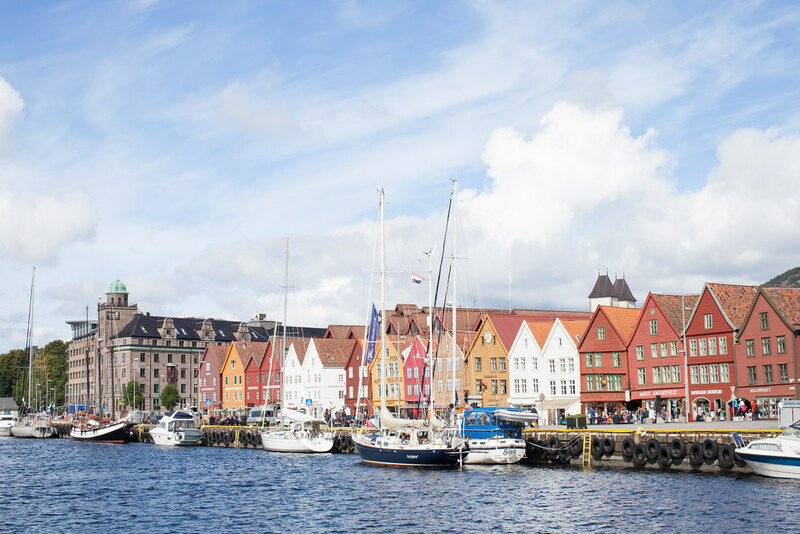 As well as being a charming Nordic city, it is situated in the heart of the fjord region making it the ideal starting point for exploring this area of outstanding natural beauty. 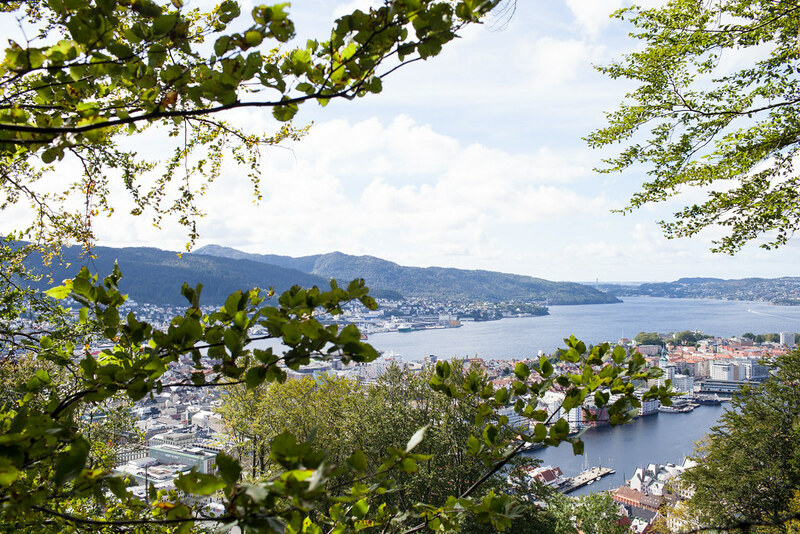 Make sure to spend a day exploring Bergen before starting your adventure through the fjords. 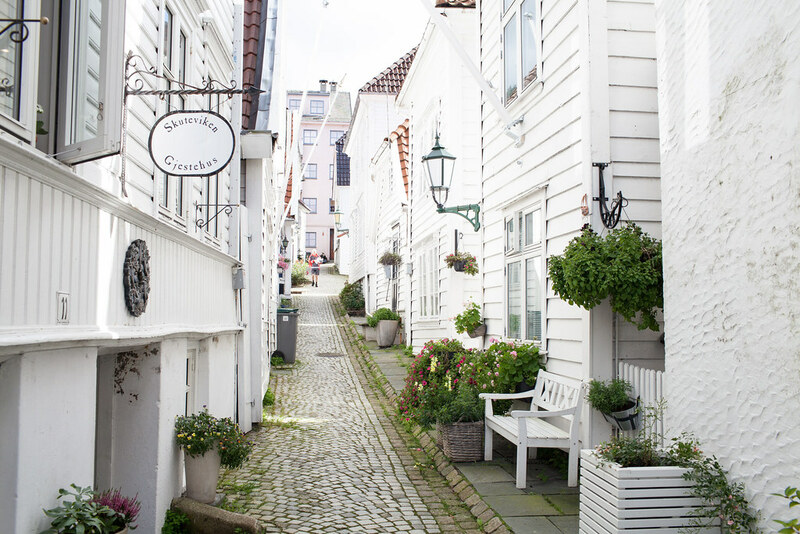 Here are the top 5 things not to miss in Bergen. Most people will recognise the iconic image of multi-coloured wooden houses lining the waterfront. This UNESCO World Heritage site remains little changed since the 18th century and has gained cult status as an emblem of the Middle Ages. Walk along the old Hanseatic wharf and make sure to enter and explore the buildings. 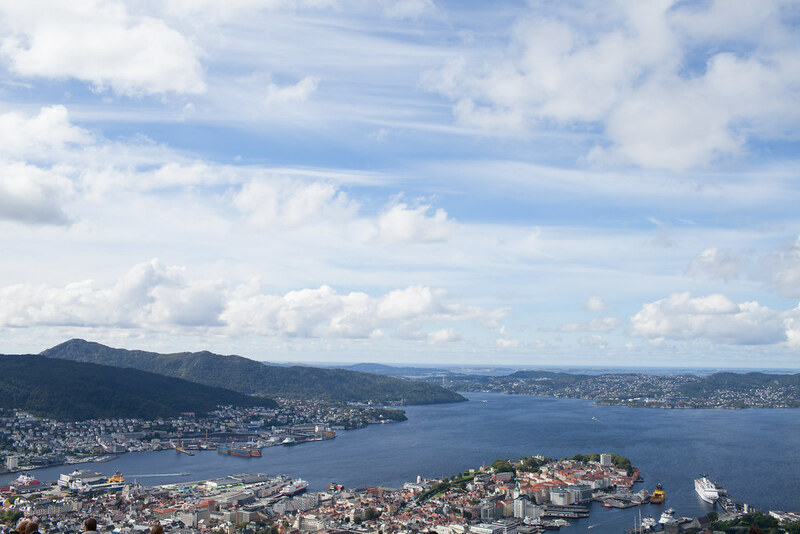 For breathtaking views over the city and the harbour, take the Fløibanen funicular to the top of Fløyen Mountain. On a clear day you can see the whole city and the surrounding fjords. Walk back down for more scenic views on the descent. Most visitors don’t venture as far as the back streets, but I would recommend doing so for a glimpse into local life. Not to mention, the houses which cling the mountainside are quintessentially Norwegian and utterly charming. 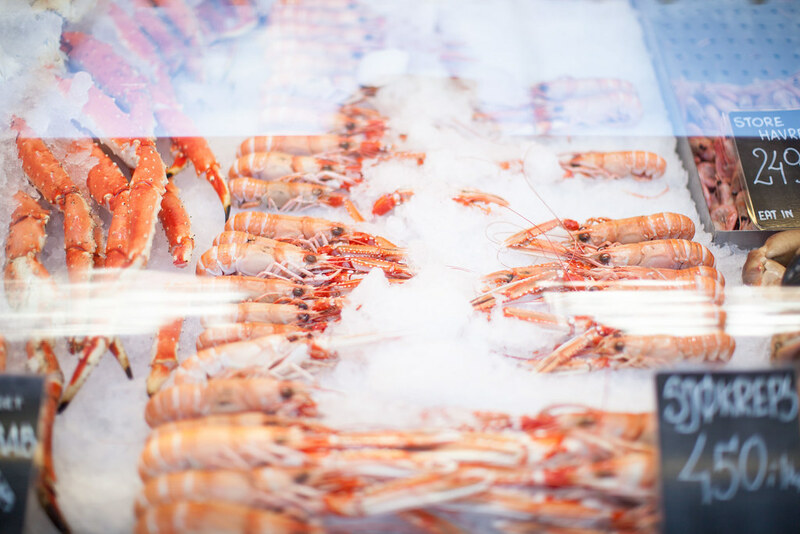 Make sure to stop for lunch at the fish market which serves everything from traditional seafood chowder to chargrilled salmon. Whatever you order, you can be sure it is as fresh and close to the source as possible. Mount Ulriken is the highest of the seven mountains surrounding Bergen and offers spectacular views of the surrounding scenery and fjords. The views get increasingly beautiful during the ascent and are particularly breathtaking once you reach the summit.